Situated in Kruiningen, this hotel is within 25 mi (40 km) of Gevangenpoort, Oostkerk, and Stadhuis Middelburg. Domburg Beach and Sportpaleis are also within 32 mi (52 km). Kruiningen-Yerseke Station is 23 minutes by foot. 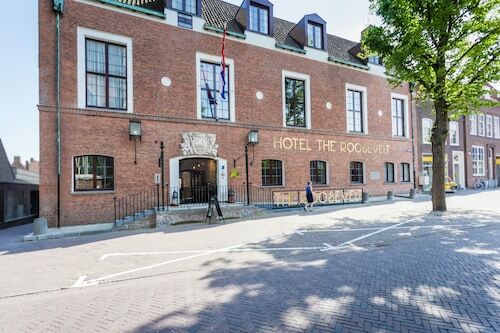 Located in Antwerp, this family-friendly hotel is 2.3 mi (3.7 km) from Ring Road, and within 6 mi (10 km) of Red Light District Antwerp and Antwerp Market Square. Cathedral of Our Lady and Century Center are also within 6 mi (10 km). Situated in Beveren, this eco-friendly hotel is 2.9 mi (4.7 km) from De Ster Recreation Park and within 6 mi (10 km) of De Witte Molen Stadium and Christ the King Church. Walburg Castle and Church of Our Lady are also within 6 mi (10 km). Situated on a lake, this hotel is within 9 mi (15 km) of Kloveniersdoelen, University College Roosevelt, and Stadhuis Middelburg. Abdijkerken and Oostkerk are also within 9 mi (15 km). How Much is a Hotel Room in Kruiningen? Hotels in Kruiningen start at $61 per night. Prices and availability subject to change. Additional terms may apply. There isn't a big range of places to sleep and relax close to where the locals are in Kruiningen. We recommend that you book well ahead if you are thinking of staying close to Kruiningen's action. The Hotel De Draak & Résidence Dagmara, Netherlands, which is the closest Travelocity-listed accommodation option, lies 11 miles (18 kilometers) from the town center of Kruiningen. A second close option is the Fletcher Hotel-Restaurant Stadspark, situated in Netherlands, about 11 miles (17 kilometers) from the center of Kruiningen. The Hampshire Hotel-Churchill Terneuzen can be found about 12 miles (19 kilometers) from the downtown area of Kruiningen. Or, alternatively, the Van der Valk Hotel Goes can be found 8 miles (13 kilometers) away. Alternative options are the Golden Tulip L’Escaut and the Hotel Het Raedthuys. 19 miles (30 kilometers) to the west of Kruiningen, you can find Middelburg, where visitors can enjoy Oostkerk and Miniature Walcheren. A few Travelocity-recommended Middelburg hotels and accommodations include the Van der Valk Hotel Middelburg and Hotel aan de Dam. Or, stay the night in Vlissingen, 20 miles (32 kilometers) to the west of Kruiningen, where you can choose from the Hotel Restaurant Piccard and Golden Tulip Westduin Vlissingen- Koudekerke. Whether you're just passing through or staying in Vlissingen, be sure to check out the Maritime Museum and Het Arsenaal. Before you say your farewells to Zeeland, be sure you see some fast-paced sport. 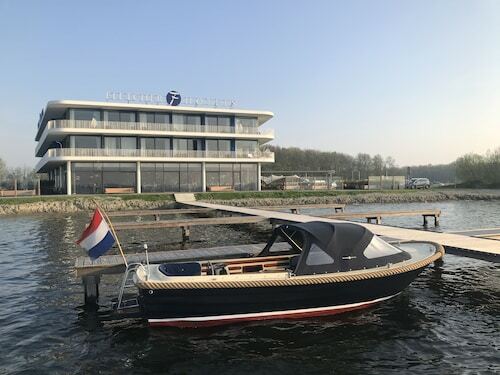 Swing by Ahoy Rotterdam, to the northeast of Kruiningen. Those sports fans that need to book a Travelocity-listed hotel close to the action can look at the Mainport or the Hotel New York. If you're flying into or out of Antwerp International Airport and need to find somewhere to stay in the area, consider Hotel De Witte Lelie or Firean Hotel. 1.0 Beautiful hotel but horrible problem with service. First of all let me say that the front desk staff at this lovely hotel is friendly and helpful, but their helpfulness is what got us in trouble and cost us more than $100. When I contacted the hotel later about the problem, the man who answered the call refused to talk to me and hung up on me without letting me explain. Here's what happened: -We parked at an unmarked space to check in. While at the reception desk, the receptionist and I noticed that a policeman was placing a ticket on our car. She suggested that we run out and stop him. -My husband immediately went outside to explain that we were parked temporarily to check in, but the policeman said he must give the ticket. My husband took it inside and asked the receptionist where we should go to pay it. -She told us not to worry and explained that the hotel would take care of it if we would give it to the manager, who was sitting in the lobby at the time. We did so. -- At this point, we could no longer pay for the ticket because we did not have it. We said "Thank you" and forgot about it. -When our VISA bill arrived, there was an additional $104.49 charge from Enterprise Car Rental, who eventually got the ticket from Middelburg with a non-payment fine. Enterprise passed this on to us with an additional fine. The hotel did not reply to my emails about this problem, and when I call and tried to explain, the man who answered would not listen to my explanation. He yelled at me and hung up on me.